Ottawa is our home away from home. Hubby studied there for University and I visited countless times throughout our long distance relationship and worked there for a few months as well. Besides seeing old friends, there is ONE thing that we MUST do every time we go to Ottawa: eat at Shawarma Palace. One time we even brought back multiple take out boxes home, stinking up the car on the 4 hour drive back 😂. 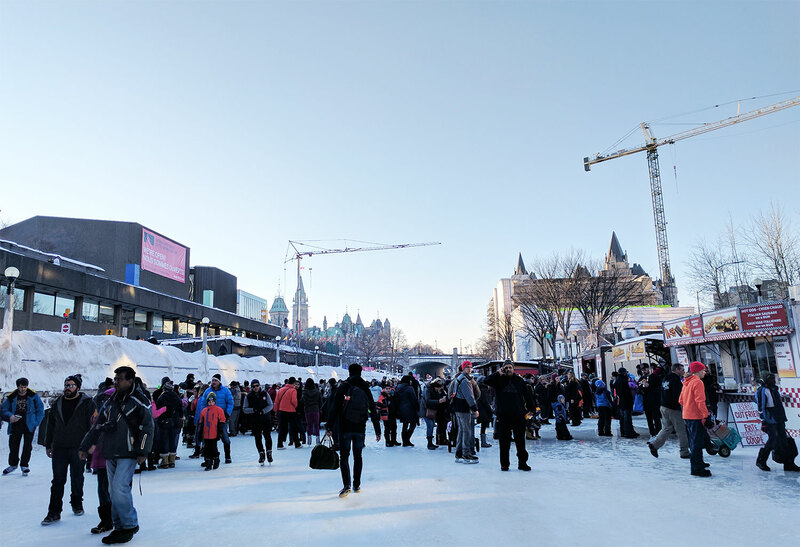 In February we decided to visit Ottawa again and take part in the Winterlude activities. 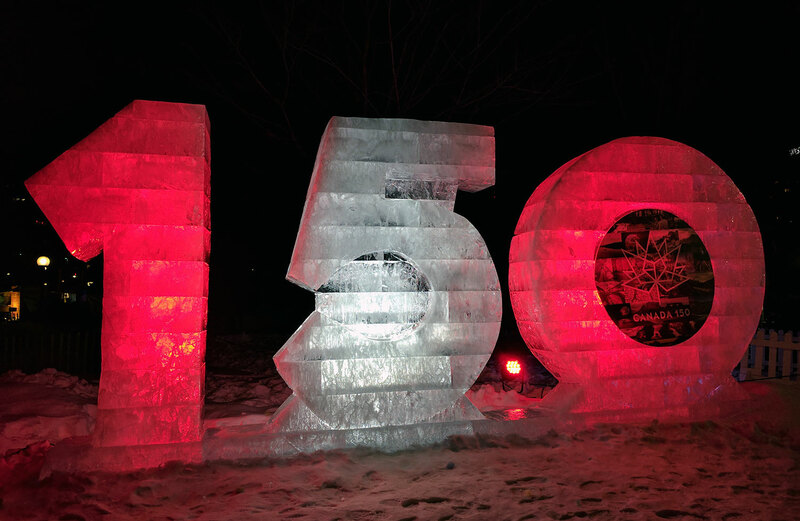 This year is Canada’s 150th anniversary, so there were even more festivities than usual. 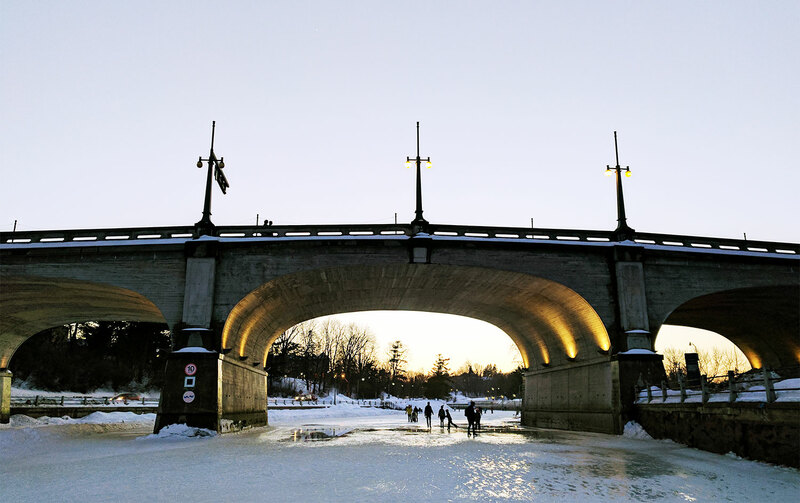 No Ottawa winter experience is complete without skating on the Rideau Canal. 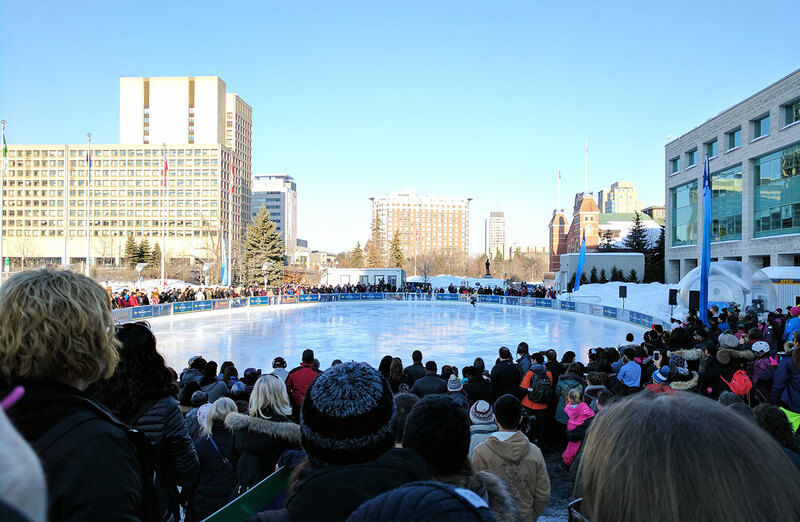 The Rideau Canal Skateway is the world’s largest outdoor skating rink and spans 7.8km. 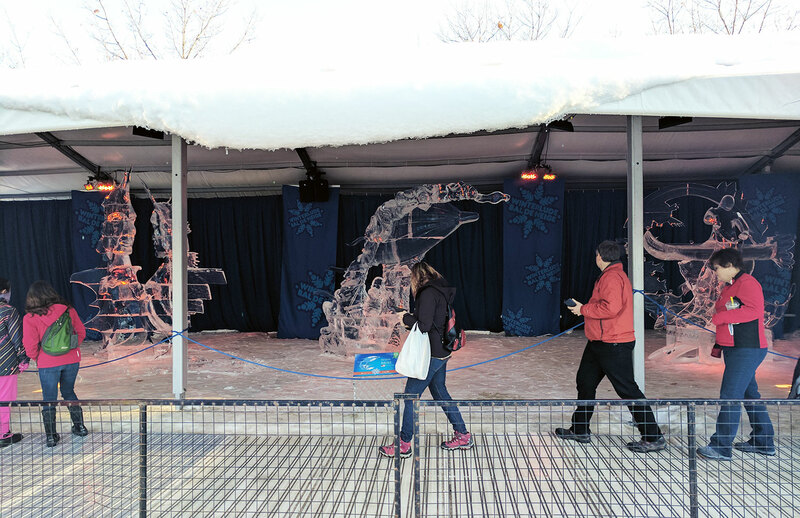 Back in the day, hubby actually skated to school once in a while 😉 We decided to start from the entrance at Parliament Hill (and have a Beavertail, of course!) 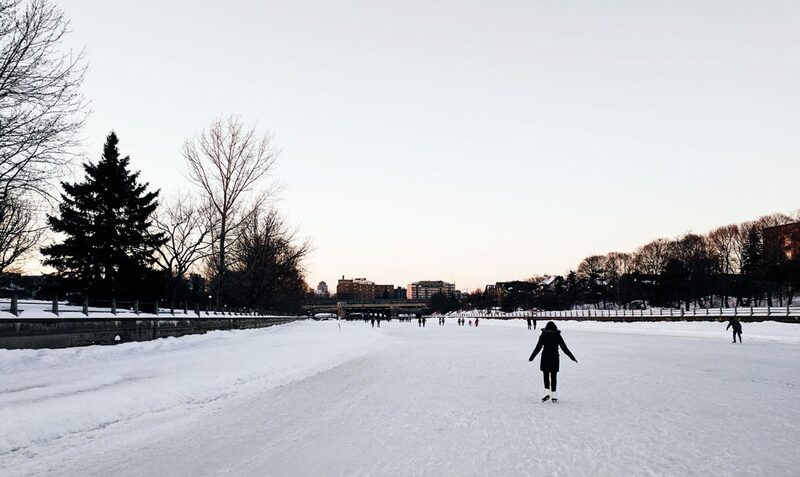 and skate down to Dow’s Lake. Unfortunately it was abnormally warm the day we went and half the canal was melting and slushy. 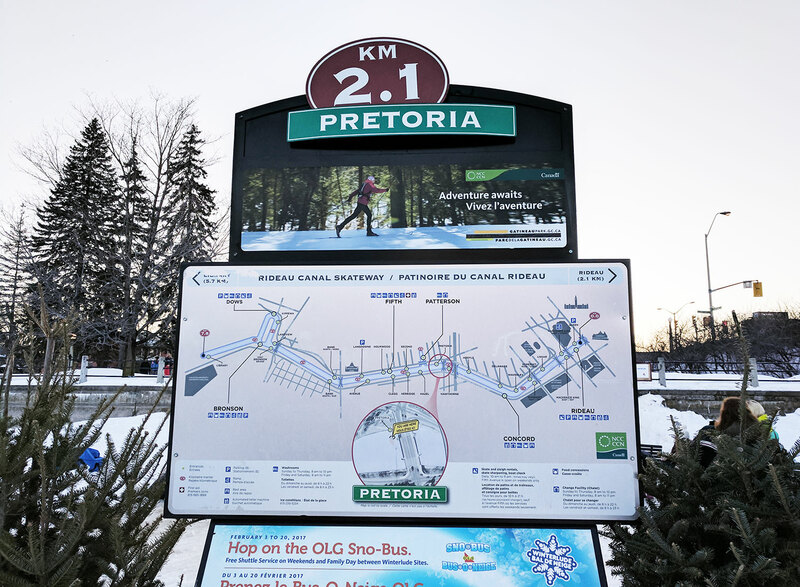 Using a mix of skate-walking and actual skating, we powered through and eventually made it to Dow’s Lake just before sunset.